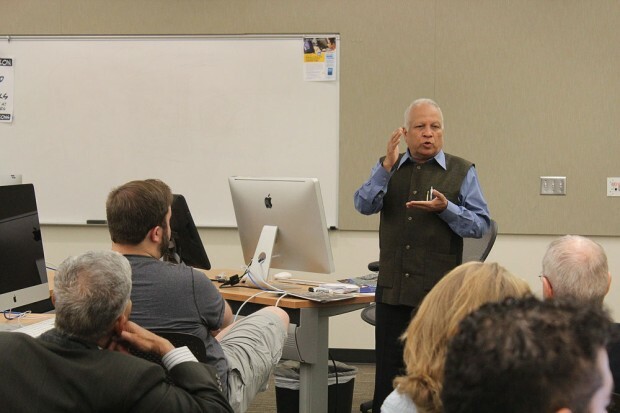 Veteran international journalist Kumar Ketkar talked to Salt Lake Community College students and staff Wednesday, Aug. 7 at the Center for Arts and Media. Ketkar, who started a career in journalism over 40 years ago, has covered international events such as the fall of The Soviet Union, the destruction of the Berlin Wall, reintegration of Hong Kong with China and five presidential elections. His dedication to the craft earned him several awards and accolades, including India’s prestigious Padma Shri award. “I got tremendous opportunity to travel all over the world …” says Ketkar. Ketkar spoke to a select group of SLCC journalism students and faculty about the link between India’s press and the American press. The association — with only a couple of exceptions — remains strong to this day. “For Indian students in media and at the universities, we are connected to The United States through the network of our MCIT libraries, who are extremely helpful in the spread of knowledge,” says Ketkar. During the informal lecture, Ketkal explained his approach to journalism and addressed the current challenges faced by new journalists. He talked about technology-saturated mediums of today and their impact on print media. Students in attendance had the unique opportunity to interact with the acclaimed journalist. 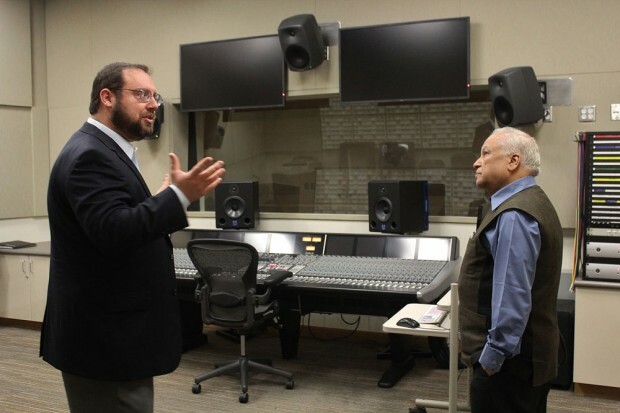 While at SLCC, Ketkar toured the Center for Arts and Media and was impressed by the abundance of cutting-edge media technology available to students.